The purpose of this book is to reach out to teachers, parents, coaches, and students who may be hoping to, or just investigating the possibility of, how to get started with robotics. At the same time, we hope to leverage the efforts of those who have been hard at work and "play" in this massive movement for many years, applaud their efforts, and provide them with documentation, support, and additional resources to reach further into the possibilities they can help create for all of us in bringing the power and potential of learning through robotics to more students, to the classroom and beyond. 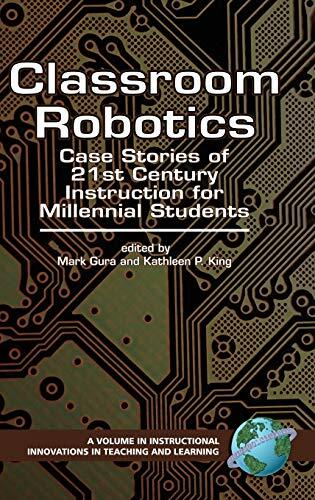 Not only does this book provide resources and firsthand insight into this exciting field, but it also provides one-of-a-kind perspectives of curricular applications of robotics for student learning. Mark Gura has been an educator for more than three decades. He works with Touro College, Fordham University, and other organizations to promote the use of technology to provide highly motivating, relevant activities for students. Gura's books include Visual Arts Units for All Levels and Getting Started with LEGO Robotics.